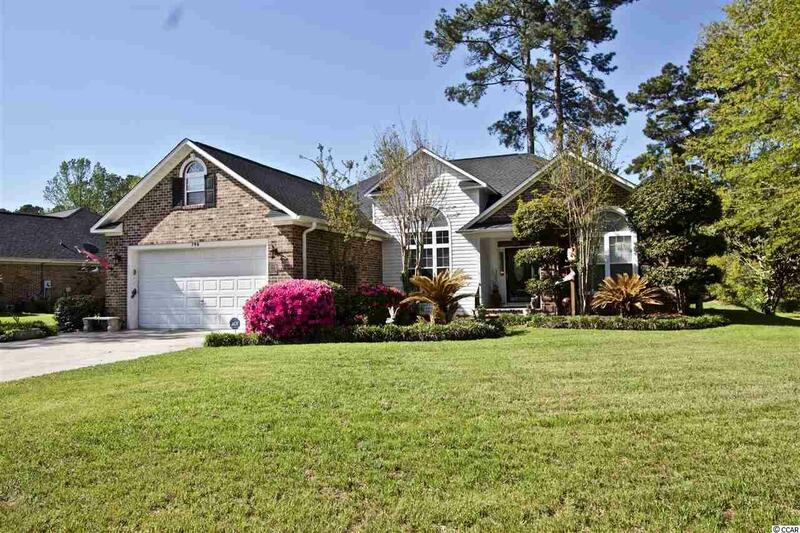 Welcome to this beautiful move-in-ready home located in the highly sought out neighborhood of Ricefields Plantation in the heart of Pawleys Island. This lovely home is a split bedroom plan and provides several upgrades including New roof and new hot water heater, both installed in 2018! Beautiful new laminate flooring, Samsung stainless steel appliances and granite countertops, under cabinet lights, and a deep double sink in the kitchen. The master bathroom provides an enlarged shower along with a garden tub along with dual sinks and granite counter tops! In the sunroom you will find a lovely built in bookcase! Outside this home features a large 12 x 16 shed with power hooked up to it, perfect for a workshop or a play house for the kids! You will also find a covered deck along with a variety of trees and bushes, your own personal outdoor oasis! Be sure to check out this beautiful home today! !